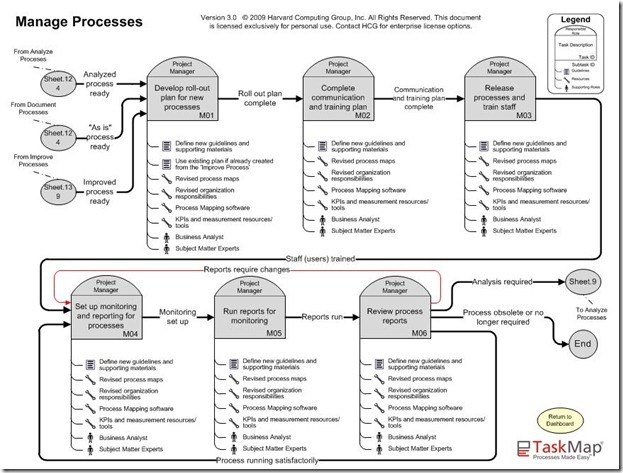 The management of processes is a process in itself. Once in place, the project is ready for prime time, and Release of the processes and staff training should commence. This will use all the supporting materials, resources and staff from the prior task. Next, set up the monitoring and reporting processes with the Subject Matter Experts and Business Analyst. The reports are then run, and dependent on the outcomes, may required to be further analyzed for improvement, or when no longer required are removed.